Many nurses struggle with finding a work life balance. With increasingly demanding 12-hour shifts, its tough to stay healthy and sane when you are constantly going mile a minute. In time you may become overwhelmed and unsatisfied with your nursing career and your personal life. Nurse burnout is real. The journey towards a satisfying work life balance as a nurse is within your control and will only be attainable if you make it a priority. Consider doing a little soul-searching. Take a moment to sit quietly with yourself and pinpoint exactly what you need to simplify your life. 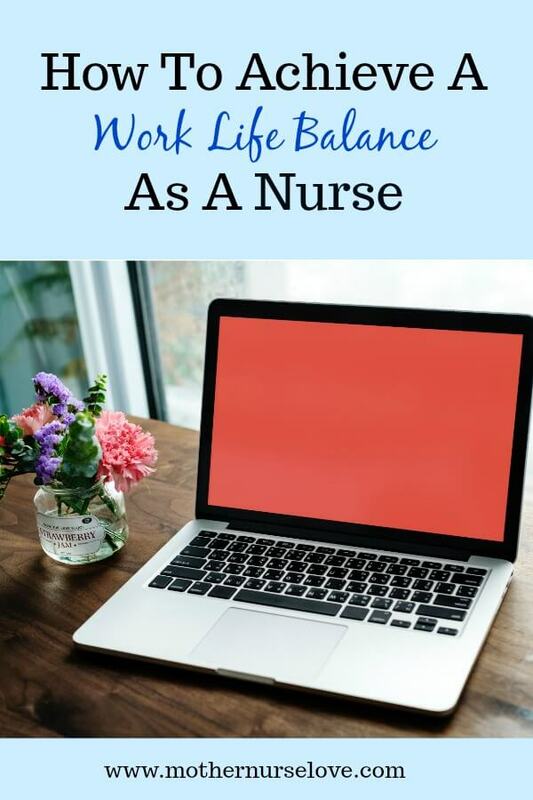 Here are a few things to consider on your journey towards a better work life balance as a nurse, and ultimately and happier, healthier life! Take inventory of both your nursing life and personal life. Is it possible you may be juggling too many balls in the air? What do you envision your life to be like in 5 years? Sit down and write a 1, 3 and 5 year plan. Make specific goals. You simply cannot create a satisfying work-life balance without fine tuning your personal and work goals. Be brutally honest. Are you making major life decisions based on what you want to do or what you feel like you should do? Many people (ahem, nurses!) are inherent caregivers who often give more to others before themselves. Now is a good time to think about how you will care for yourself first. Your happiness and success is your responsibility. Start by prioritizing what is most important to you! You have to manage your stress to achieve a work/life balance. This is a non negotiable! Here are two helpful ways to manage stress: #1) get moving with some type of physical activity (may I suggest yoga?) and/or #2) meditate (or just take a little time to chill out by yourself). The benefits of exercise and mediation on physical and mental health are well documented in literature. For example, The Mayo Clinic has stated that “yoga may help reduce stress, lower blood pressure and lower your heart rate” among many other benefits (my yoga practice has been a life saver for me!). In addition, a study published in the National Institute of Biotechnology Information investigated the effects of yoga on stress coping strategies of ICU nurses. After only 8 weeks of yoga the results showed that the participating ICU nurses had significantly better focus coping strategies and a major reduction in perceived mental pressure. Just imagine how much better YOU could feel as a nurse who commits to a regular yoga practice. Note: It doesn’t have to be yoga (although yoga has remarkably changed my life for the better over the past ten years). Exercise can come in any form you want it to: running, hiking, swimming, pole jumping, dancing in your living room…. The best kind of exercise is the kind that you actually do! In addition to the (literal) flexibility I get from yoga, I have also found flexibility within my workplace and at home. 12 hour shift schedules are already rigid enough. To find a work life balance that works for you, consider other alternative scheduling options available in your workplace. 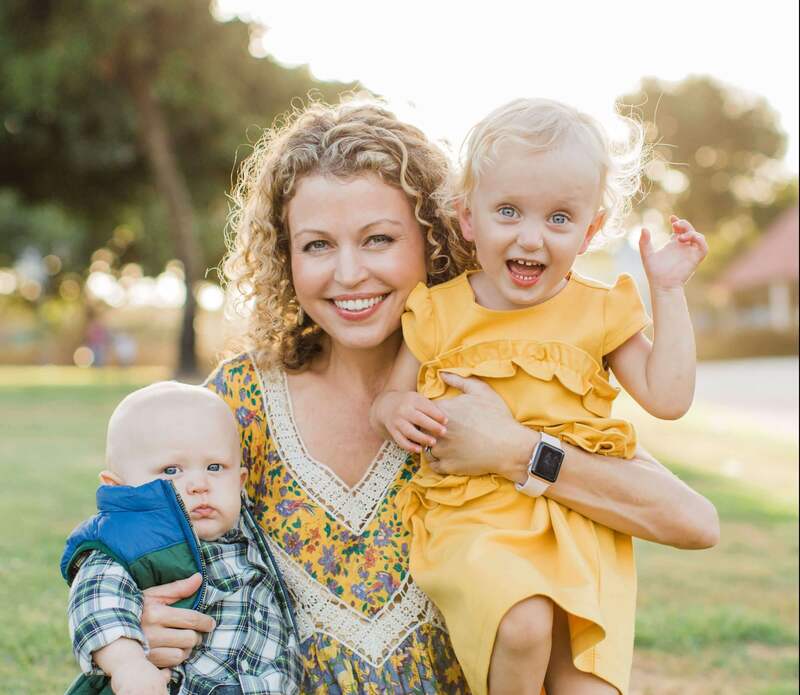 As a nurse and a new mom I found that becoming a per diem nurse allowed me to create a better work/life balance for myself. As a per diem nurse, I am literally employed “by the day.” Hospitals need the flexibility of per diem nurses so they can manage daily staffing needs in the hospital. There are many pros and cons to being a per diem nurse and it is the only way I am able to effectively be a working mom at this time.Here is another way to create flexibility in your life: Try squeezing your workouts in early in the morning before your family is awake. Sure, you will be tired, but you will also feel incredible for the rest of the day! (I have been practicing hot yoga at 5:30 AM twice a week before my tribe wakes up and it is helping me function so much better). Working 12 hour hospital shifts at the beginning of your career is an excellent way to gain clinical expertise and build a solid career base. But it is not the only career path within the nursing universe. There are many unique and alternative avenues a nurse can take! If you are a nurse suffering from burnout and looking for alternative career paths, you are in luck. Finding a new way to practice nursing may help you find the work life balance you have been looking for. Become a nurse coach and launch your own coaching business. Become a home health nurse. Start a wellness program for nurses. Look into legal nurse consulting. 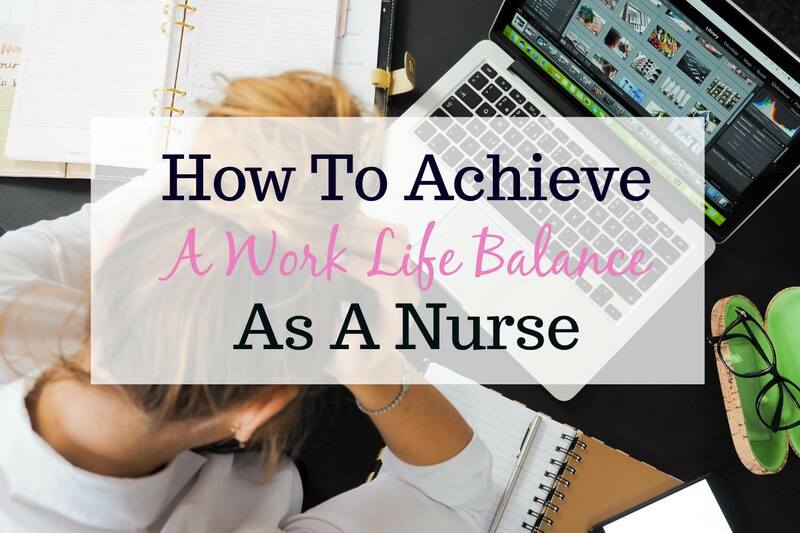 Are you a nurse who is struggling with how to achieve a work life balance? I enjoy hearing thoughts and ideas from other fellow nurses. Please leave a comment below!